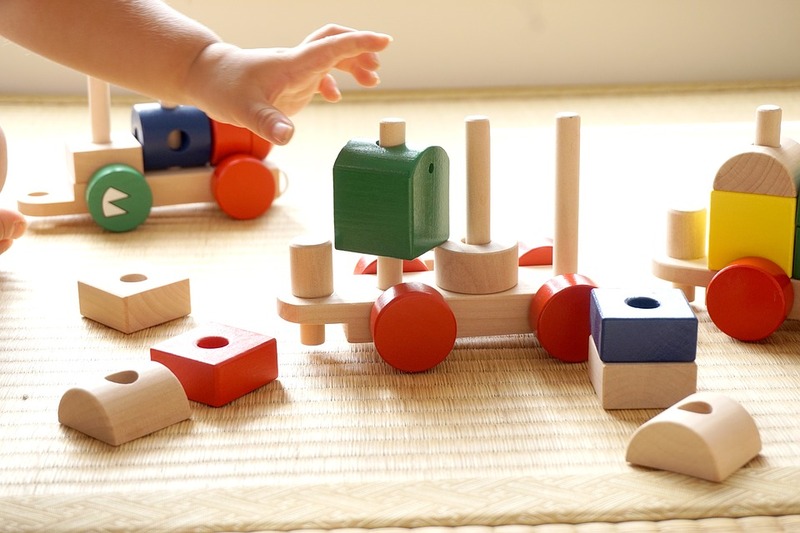 Great news for Fresno County's youngest learners: free early childhood educational opportunities abound at our library branches and within the community! Read on for a quick roundup of a few of the most exciting opportunities available locally. Fall story times start September 1st! Story times are designed to cater to different developmental stages: some are for infants (0-18 months), whereas others are for toddlers (2-3 years), preschool-aged children (3-5 years), or other age-ranges somewhere between. 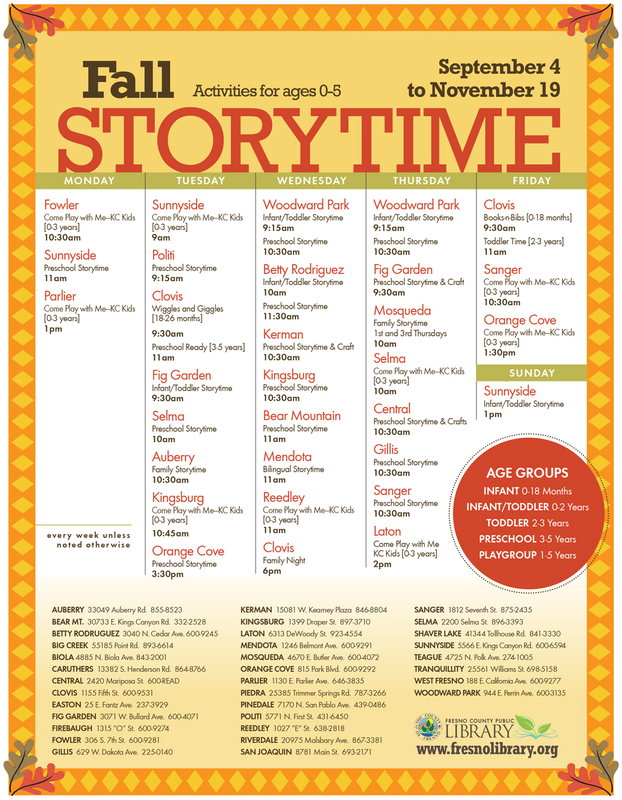 Intended audiences for scheduled story times are noted on the Fall Story Time calendar (above). 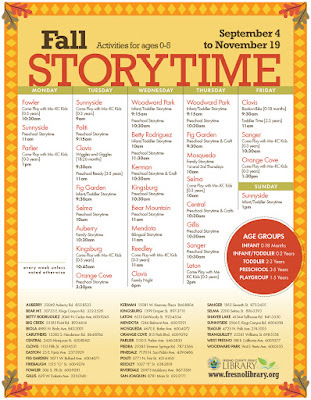 Not quite sure what story time is, or why you should go? 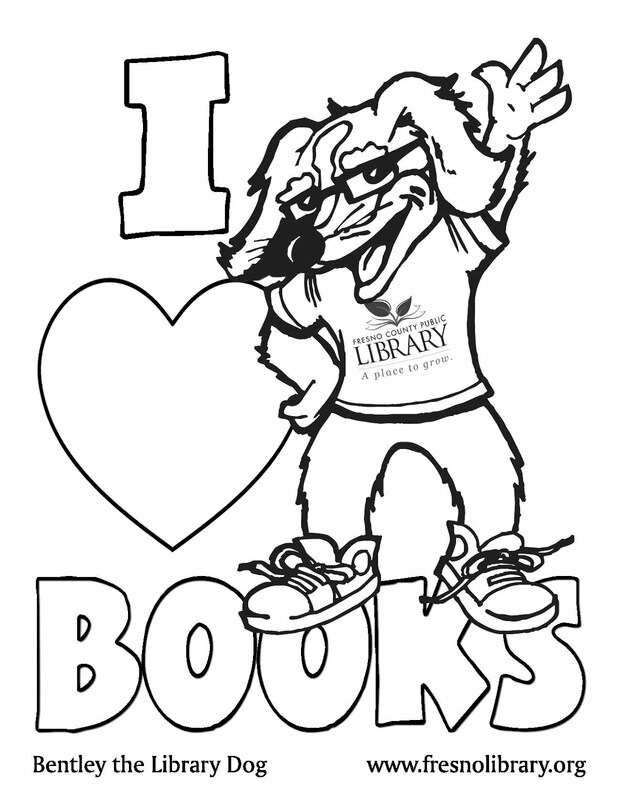 Check out this brief article on BookRiot. Fresno Unified School District and Fresno Housing Authority have worked together to build a robust new Early Childhood Education program at Downtown Fresno's historic 'Helm Home.' The program is designed to teach caregivers of young children how to turn play into learning, a process that is supported by the program's lending library of children's books, books on English learning and early childhood development, and toys. All of the toys used in the program can be checked out for up to two weeks, so kids can continue learning at home.